STAY PERFECTLY FOCUSED THROUGHOUT THE DAY: Thyroid imbalances might cause mental fog, making it impossible to stay concentrated. This thyroid helper, booster and support supplement will help you enjoy mental clarity and improve brain function. 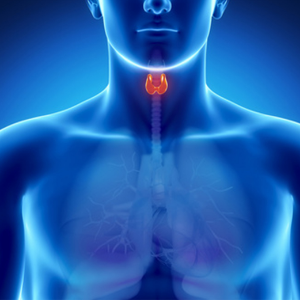 Proper thyroid care is vital to ensuring your mind and body are functioning properly. The thyroid is a gland that produces hormones to help regulate metabolic processes in your body and when there is an imbalance in the amount of hormones your thyroid produces, it can lead to symptoms such as weight gain, mental fog, fatigue, aches and pain. 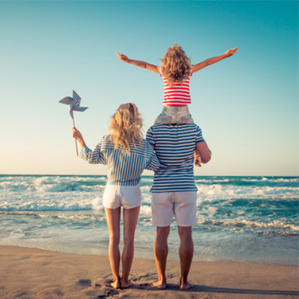 Suitable for both men and women, this thyroid supplement is formulated with a blend of natural ingredients linked to healthy thyroid function including iodine, zinc, magnesium, copper, vitamin B12, Selenium, L-Tyrosine and Kelp. Give your thyroid a healthy boost with this potent thyroid vitamin supplement made from quality natural and non-GMO ingredients. 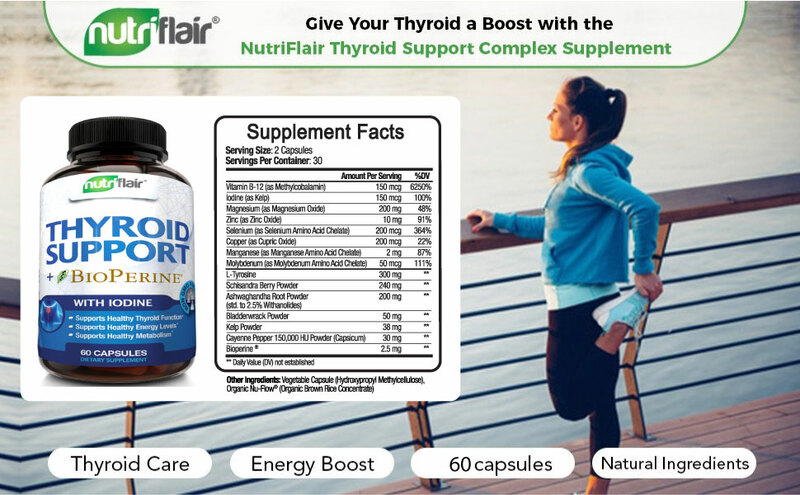 This thyroid support supplement is formulated with a combination of high-quality natural ingredients that have been shown to support healthy thyroid function, in turn helping to regulate the body's metabolism. By regulating hormone levels and boosting metabolism, the potent thyroid care supplement has been shown to help users achieve healthy weight loss more easily. In addition to speeding up your metabolism, this natural thyroid supplement contains ingredients that have been linked to health benefits such as increased energy levels, enhanced concentration and mental clarity, resulting in improved everyday performance and overall well being. Do not exceed recommended dose. Pregnant or nursing mothers, children under the age of 18, and individuals with a known medical condition, should consult a physician before using this or any dietary supplement. Keep out of reach of children, do not use if safety seal is damaged or missing. Store in a cool, dry place.